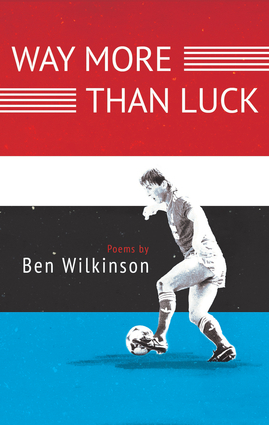 From the thumping heartbeat of the distance runner to the roar of soccer stadiums across the decades, Ben Wilkinson's debut poetry collection, Way More Than Luck, confronts the struggles and passions that come to shape a life. Beginning with an unflinching interrogation of experiences of clinical depression and the redemptive power of art and running, the collection centres on a series of vivid character portraits, giving life to the legends of the UK's Liverpool Football Club. By turns frank, comic, sinister and meditative – 'the trouble with you, son, is that all your brains are in your head' – these poems uncover the beautiful game's magic and absurdity, hopes and disappointments, as striking metaphors for our everyday dramas. Elsewhere there are tender love poems, political satire and strange dream worlds, in an urgently lyrical book of poems that take many forms and modes of address: pantoum, sonnet, sestina; epistle, confession, dramatic monologue. All are united by a desire to speak with searching clarity about matters of the heart. Way More Than Luck is a book that shows how pain comes to define our happiness; how we keep on in a world of chance, uncertainty and change. Ben Wilkinson was born in Staffordshire and now lives in Sheffield, South Yorkshire. In 2014 he won the Poetry Business Competition and a Northern Writers' Award, and in 2015 he was awarded a writers' grant from Arts Council England. He is a keen distance runner, lifelong Liverpool FC fan, and he writes criticism for The Guardian, The Poetry Review and the Times Literary Supplement. He lectures at the University of Bolton.